Fireman: Matriculation or equivalent from a recognized board/institution and Must be physically fit and capable of performing strenuous duties and must pass the test specified below. Cook: Matriculation or equivalent from a recognized board/institution and One year’s experience in the trade. Mechanic Skilled (Naval Aviation): The candidate should have held the rank of Seaman I or equivalent and have 03 years service/experience in the appropriate technical branch of the Army, Navy or Airforce OR Matriculation or equivalent and Should have completed approved apprenticeship Certificate from a recognized Industrial Training Institute or equivalent in the appropriate/akin field or trade OR 2 years service/experience in the grade. Multi Tasking Staff – Mali: Matriculation Pass or equivalent from a recognized Board/Institution and Proficiency in relevant trade. Lascar-I: Matriculation Pass or equivalent from a recognized Board and Must know swimming. Multi Tasking Staff (Ministerial): Matriculation Pass or equivalent from a recognized Board/Institution. ICE Fitter Crane: Matriculation or equivalent from a recognized institute or Board with knowledge of English and Should have completed Apprenticeship Training in the trade and holding National Apprentice Certificate in the relevant trade issued by National Council of Vocational Training (NCVT). Tradesman Skilled(Rigger): Matriculation or equivalent from a recognized institute or Board with knowledge of English and Should have completed Apprenticeship Training in the trade and holding National Apprentice Certificate in the relevant trade issued by National Council of Vocational Training (NCVT). OR Mechanic or equivalent with two years regular service in the appropriate Technical Branch of the Army, Navy and Air Force. Boot Maker/Equipment Repairer & Book Maker: Matriculation Pass or equivalent from a recognized Board and Certificate from a recognized Industrial Training Institute or equivalent in the appropriate/akin field or trade OR Candidate should have held the rank of Seamen-I or equivalent with 03 years’ service in the appropriate technical branch of the Army, Navy or Air Force. Eligible & Interested candidates can apply via online in Official website page at www.joinindiannavy.nic.in Indian Navy Recruitment 2018. 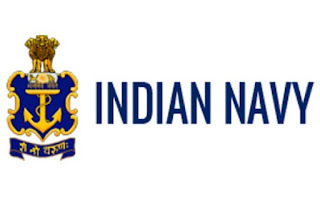 Take a print out of Indian Navy Recruitment 2018 online application form.